Girls who first discover the magic mascara wand may consider it the holy grail of makeup, but closer inspection reveals a fickle friend who smudges, runs and smears at the slightest hint of moisture. Give your eyes a dramatic enhancement that can withstand the test of thunderstorms by trying the 2 bottles of Macro Lash Eyelash Builder from Pulse TV. This safe and non-irritating lash enhancer makes your eye curtains appear longer, glossier and more voluminous. 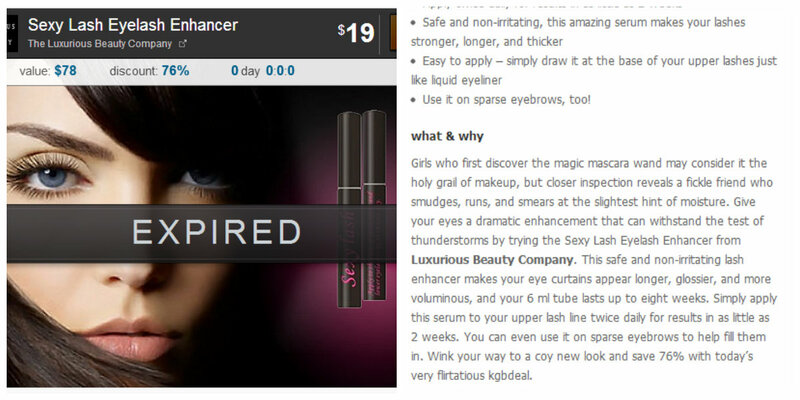 Wink your way to a coy new look and save with today’s very flirtatious kgbdeal.